Roeckl Gloves are popular worldwide throughout all disciplines and the choice of leading riders. Once ridden with these you will understand their popularity. A lightweight close fitting glove made from faux leather provides a sensitive feel on the reins with an excellent grip. Resilient and breathable these are ideal whether you are a dressage diva or a jumping enthusiast. A tab fastener with a Roeckl metal logo crosses the hand to adjust for a snug individual fit, giving you optimal comfort. The Roeckl name on the palm completes this incredible look. Equestrian Riding Gloves, Why do I need them? 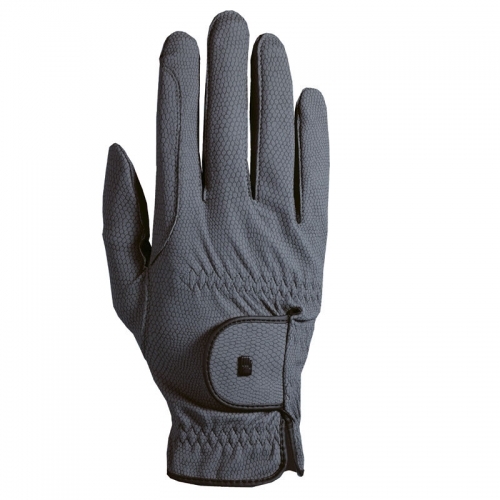 For better grip on your reins while riding Prevent blisters Riding in Horse Shows Protection against riding in the Cold.